There is the inclination to view the use of voice in technology solutions as a simple swap-out for the fingers and eyes we commonly used for texting or typing, but to do so would negate the psychology of voice, which allows these voice-enhanced systems to become more than the sum of their technology parts. We respond to smart speakers with the same “feeling” of speaking with an actual person – i.e. we communicate with them, not through them. That idea holds great potential in the aging in place category. 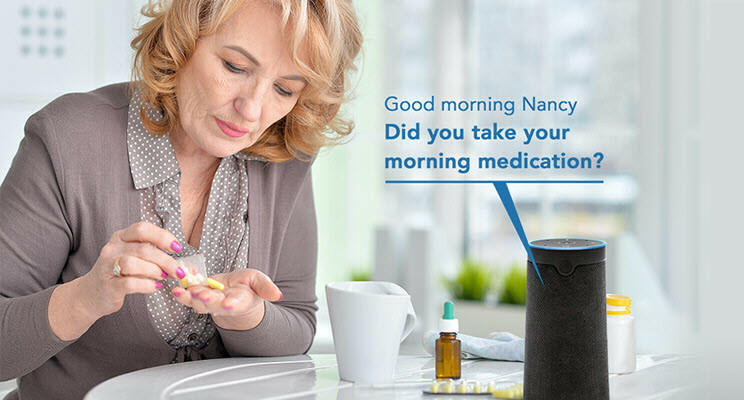 Voice-tech could be a gamechanger for disrupting one of the most challenging cycles that seniors face: healthcare issues that lead to extreme isolation, which causes depression, which further compounds health issues. And just this year, we decided to partner with LifePod – a company launching an AI-driven, virtual caregiving platform, which expands the capabilities of popular smart speakers with voice-user interface technology. With the recent changes to CPT codes around remote monitoring, the door has been opened for the reimbursement of connected care services like this one, which enables providers to manage and support chronic care management and aging in place. Leveraging new technologies such as proactive voice will allow professional caregivers to connect to patients in a more robust, comprehensive way. We showcased the LifePod solution at CES 2019, in a fireside chat at the Digital Health Summit. If you happened to be there, I hope you learned more about how we expect the power of voice to change the future of personal and professional caregiving.